Caution: This module doesn't include the 20 Pin Header. You can buy them Here or directly solder the wire to this module. 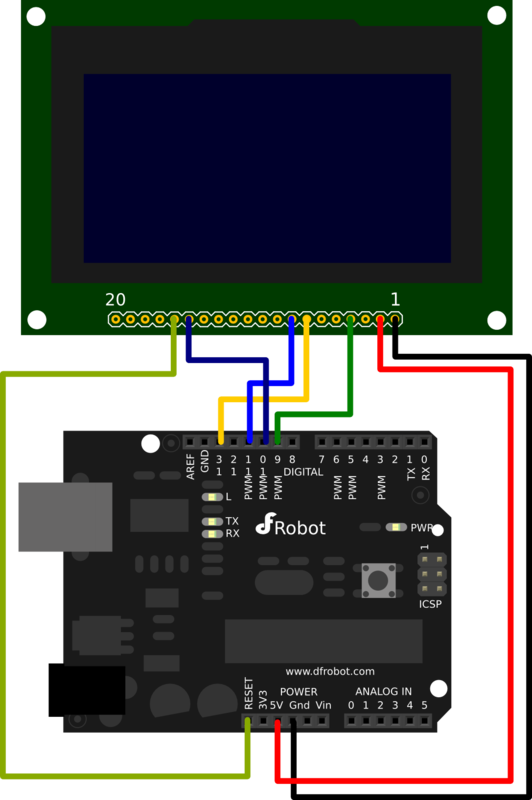 If using the following code and the OLED doesn't work, try to press the reset button on the micro controller board. Get 2.7" OLED 12864 display module from DFRobot Store or DFRobot Distributor.